Presentation volume to Lord Carson of Duncairn by the the Loyalists of Northern Ireland. 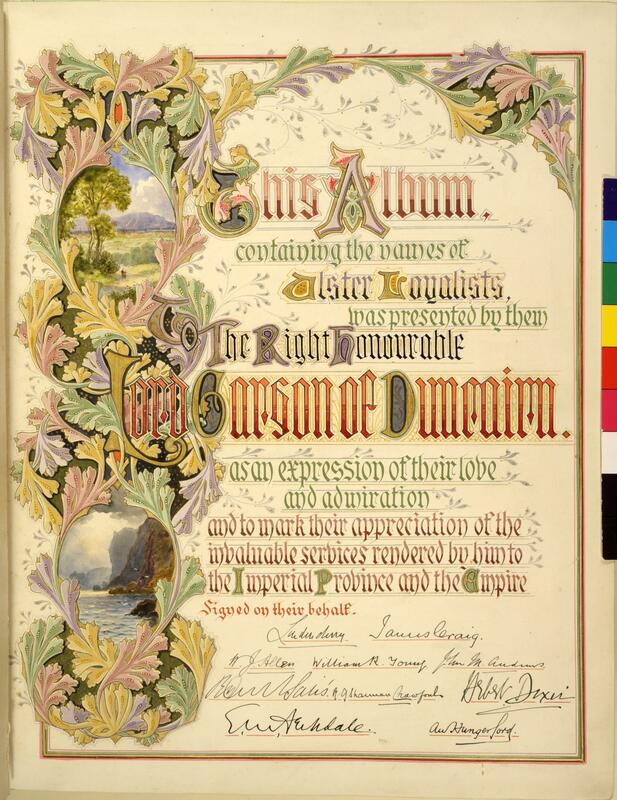 'This Album containing the names of Ulster Loyalists, was presented by them to The Right Honourable Lord Carson of Duncairn, as an expression of their love and admiration and to mark their appreciation of the invaluable services rendered by him to the Imperial Province and the Empire.' Signatures include Sir James Craig. Illustrated with watercolours of local views by J W Carey.